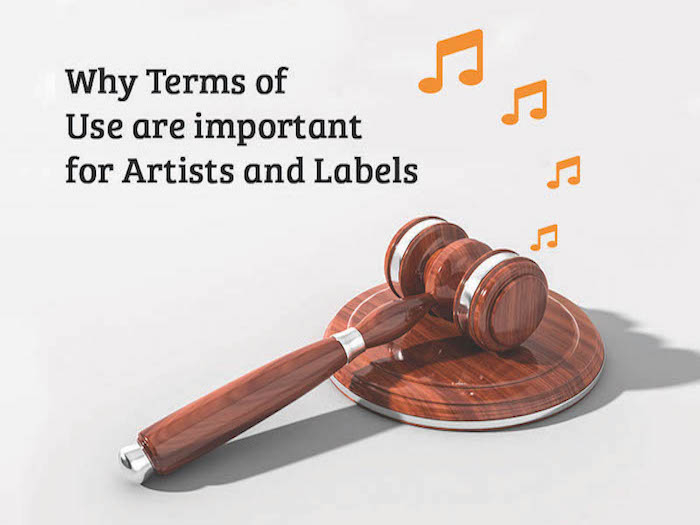 The most important issue for musicians regarding the distribution and consumption of their music is securing their copyrights. This means that artists have to be aware in which manner their creations are being circulated. It is therefore the responsibility of the independent individual artist to enlighten themselves in the details the terms of any contract they engage in, so you are fully aware just how your music will be utilized and how the value of your precious, the terms of agreement guarantees to return to your pocketses will be calculated. You must also be proactive and take responsibility to have any infringed creation removed. Copyright seems like such a distant issue from the act of playing, composing, producing, creating and musicmaking in general. Although it is true that a work is copyrighted as soon as the creation has been realized in physical form, it must be registered and secured to make any claim of infringement. Your creations are your babies, don’t let them out of your sight or let strangers play with them without being fully aware of who’s house they will be going to. Do you need or use an agent or manager; do you trust your creations’ babysitter; institution? With the mass amount of services available they may all seem to offer the same or a version thereof, however when looking at the fine print there might be boogymen hiding. Don’t be too eager to distribute your music without fully understanding the terms of its new caretakers. Realize the administration of your music in the digital age. The important issues to focus on in the terms of agreement are; the length of the contract, the territory of distribution, exclusivity, royalties, expenses, hidden costs and promotion possibilities. The length of the contract will define your ties with a certain service, make sure that you are able to cancel the service if you are not completely satisfied without legal repercussions. The territory will define the countries in which your music will be distributed, not all services have access to every market, you might be missing out on a huge audience and not even know it. There is debate about exclusive and non-exclusive services. Services who boast a non-exclusive agreement explain that this is the best way to acquire the highest royalty payout, as well as be free to use any other service. This is misleading on two parts because every service achieves the highest payout possible because it is good business for the service to create more profit for themselves and for their customers, and it is not true that you can use any service at the same time, you can’t use CDbaby and Distrokid at the same time. So their services are exclusive, it is the territories in which a service distributes that will define your possibility to use one service in conjunction with another, there can’t be any overlap. The calculation of royalties are a very complex process and every service has their own system that is confusing for anyone to try to decipher. What is important is that you know how much of the royalties are held back from your final payout and to get a timely and understandable report of your music’s usage and accumulation of royalties. Expenses should be fairly straight forward. How much does it cost to use the service, are fees collected from a percentage of your royalties or by a fixed subscription fee? Are there any other fees that might you incur for example; cancelling your subscription. How is the service you use, going to get your music heard? The promotion of your music is huge and will affect big time how your music will succeed. Radio, playlists, video and social media are all necessary media for you to utilize to get the largest audience possible. Please read thoroughly the terms of agreement when you engage in a new venture. You have many choices and are not limited to your first search. Find what works best for you and don’t get caught with your pants down!